She's come home from Japan. Her father is still unconscious but she's brought him with her. She's been summoned back to help solve a murder by the head of the Portland Kind. First she stops to see her sister but she doesn't want to visit her. She has her boyfriend over and they're spending their time in bed. He's not who she'd like her sister to hang with but she really has no say over it. She meets him and then takes her leave. World Weaver Press sent me a copy of this book to read for review (thank you). It has been published and you can grab a copy now. This is the final book in this series about the Portland Hafu. Every one of the books draws you in. The characters are distinctive, there are new powers revealed, and there's always plenty of challenges and action. This one lives up to that just like the others did. Koi is still growing and developing the powers she's discovered in herself. It's hard with no teachers but she works on it. Someone is after the members of the Hafu. They are killing them whenever they have the chance. Can Koi help solve the mystery and stop the killing? 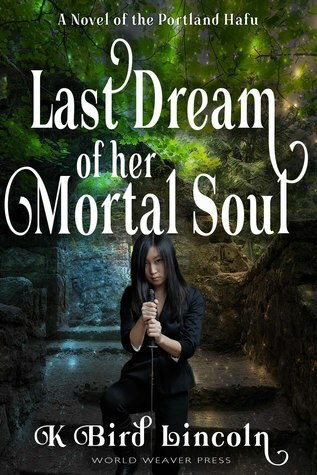 As her friends die, she makes up her mind to do what it takes. If it kills her, it doesn't matter. She's the only person that can do it. The ghost of her father talks to her. He's still alive but just barely. She needs his advice. The story is exciting and kept my attention all through the series. 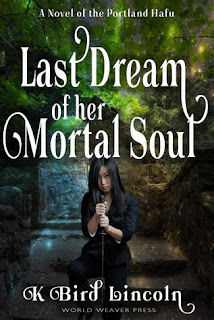 If you like mythical fantasy, you'll enjoy this series. I did!